Discussion in 'Pod System Reviews' started by Timwis, 15/4/19. 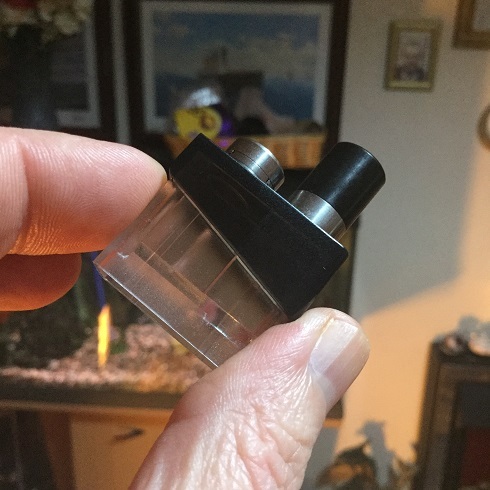 Hi Ecigssa members, In this review i take a look at the Trinity Alpha Resin Pod Kit from Smok. 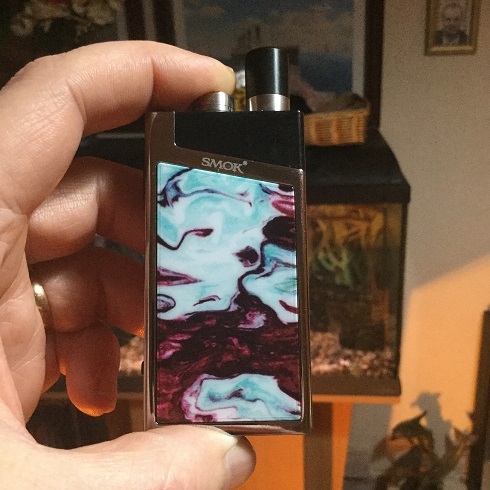 The Trinity Alpha Resin Pod Kit was supplied for the purpose of this review by Smok. 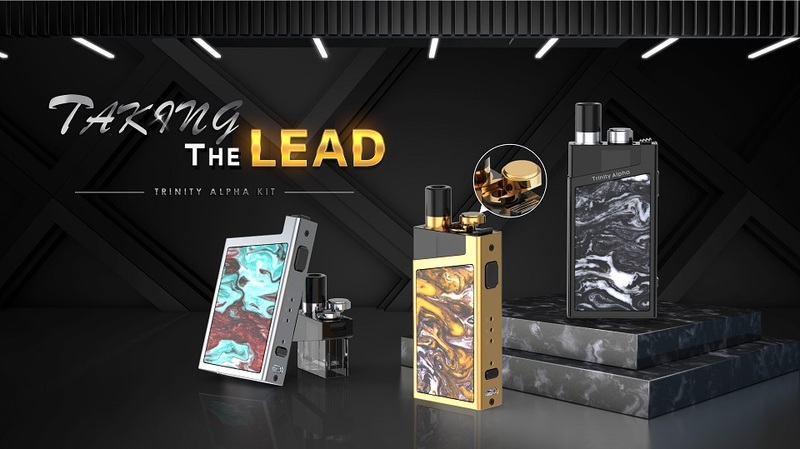 Ever since the release of the Orion Go and then the Orion Q it was only going to be a matter of time before we sore an avalanche of Orion "look a likes" and here we take a look at the Trinity Alpha from Smok. The Trinity Alpha also has some similar features like a catch release mechanism that releases the pod and holds it in place and the same top fill method on the TPD version and even better one (in my opinion) on the standard version. Rather than different wattage settings we have three different preheat and it also boasts both removable standard 510 and replaceable coils making the Trinity Alpha more of an AIO device than a pod system, although what officially is what is a grey area. 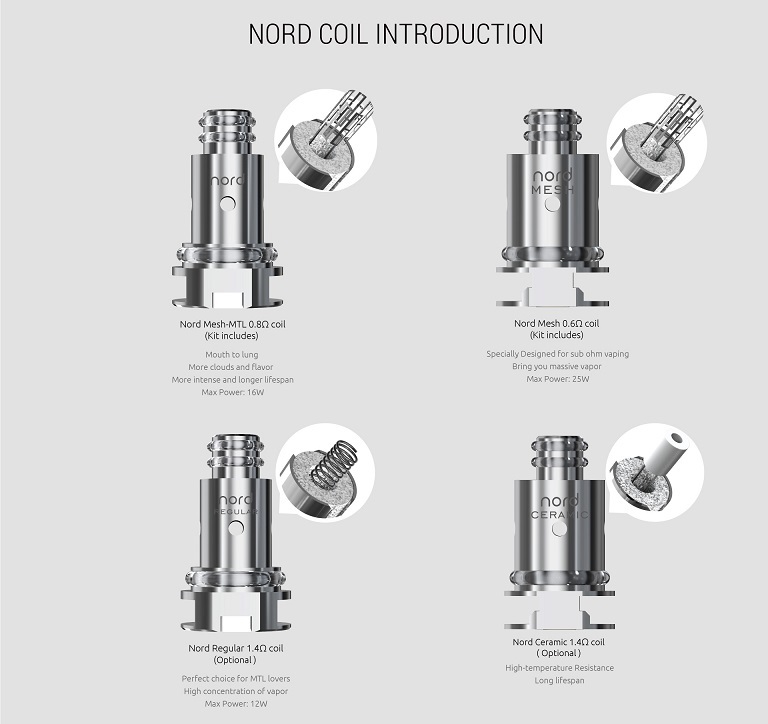 The compatible coils are the already well received Nord coils and both a MTL and DL coil is provided, so let's give it a look! 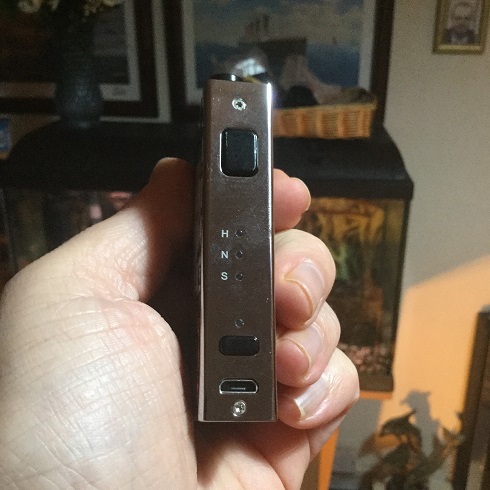 I am not going to go into great detail as the device will be explained as the review goes on and plenty of pictures are included. The Trinity Alpha is a small portable device which fits in the hand nicely or can be worn around the neck using the supplied lanyard. The Chassis is metal and comes in different frame colours, both front and back we have Resin panels (possibly resin effect with a clear polished coating) the panels do look very nice whether they are genuine resin or not. I received The Prism Chrome version which has a chrome coloured frame and panels with Sky Blue and Purple mix. The other colour options are Bright Black, Prism Rainbow, Prism Blue, Red and Prism Gold, looking at the pictures there are some very nice looking colour options. 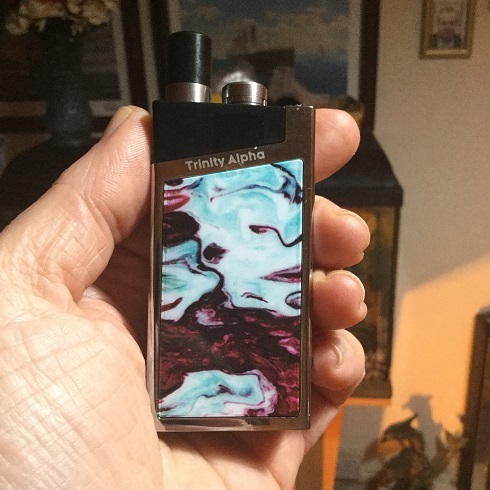 The Trinity Alpha is made very solidly and really can't fault it's build quality. You only get 1 pod included but the coils are replaceable and the pod looks to be very durable so much more efficient than using disposable pods. 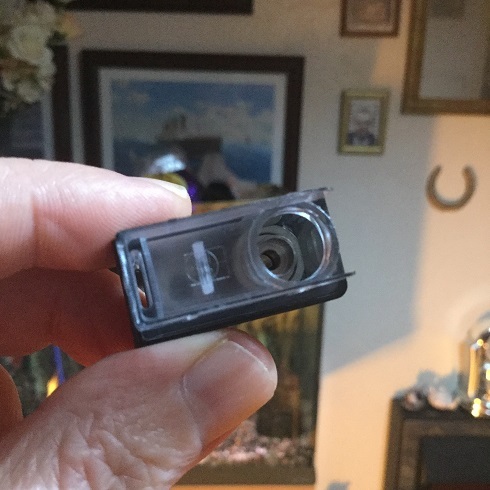 The top section of the pod which is the section that protrudes from the device is dark tinted Black while the bottom section that holds both the coil and e-liquid is frosted but very transparent. 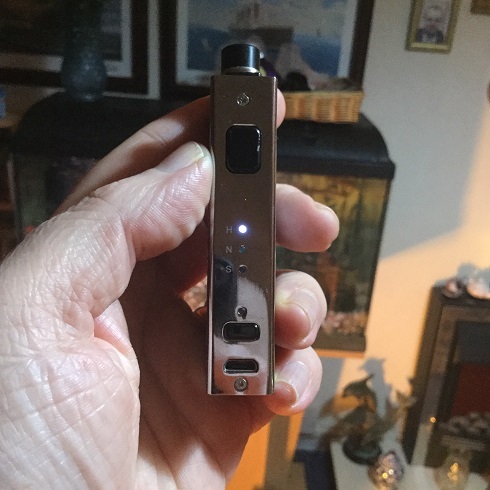 Your e-liquid can be easily seen through the frosting but as this section is not showing when the pod is attached to the device you either need to find good lighting, remove the pod to fill or just use your judgement, a pity because the pod has a great top-fill system. 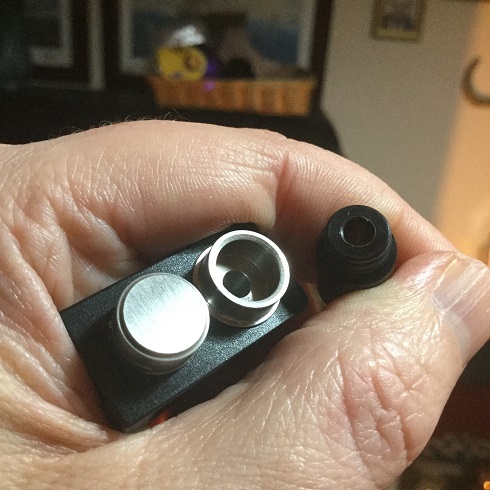 On the TPD version the top of the pod has a top-cap like on the Orion which you unscrew to reveal a generous fill hole, on the standard version rather than the top-cap unscrewing it is on two rails and can be slid open with just enough tolerance that it won't slide open by accident. To the outer side of the fill cap we have a slit for airflow, their is a second slit on the opposite outside edge of the pod so unfortunately no adjustable airflow. 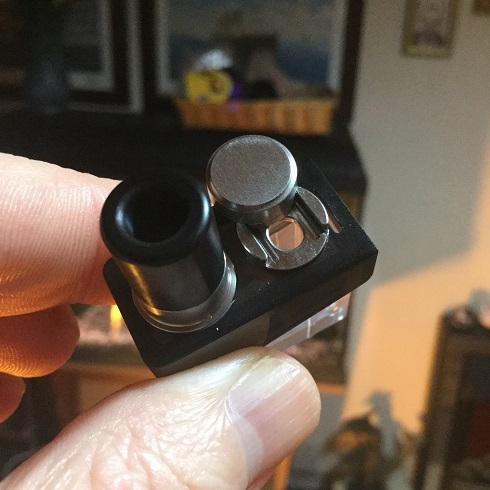 Also on top of the pod we have the drip tip which is a regular 510 fitting so you can use your own drip tip if you prefer, this also means if you are filling using chunky bottles you can remove the drip tip for easier access to the fill port. The pod comes with no coil installed but you get supplied with 2 mesh Nord coils which are the 0.6ohm DL coil and the 0.8ohm MTL coil. 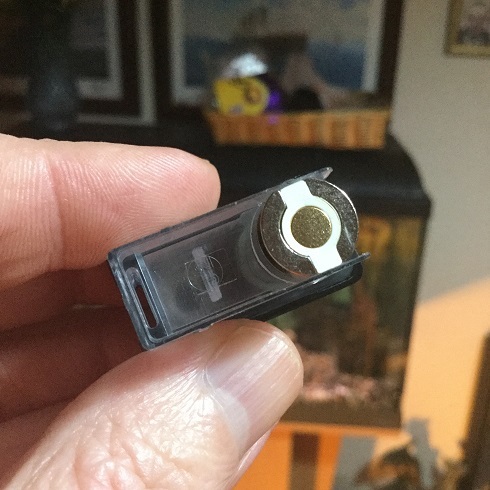 Looking at the bottom of the pod you have the round opening for the coil to be inserted which is just press fitted into place being sealed with o-rings, also if you hold the pod on it's side with the coil towards the top the coil can be changed while juice is still in the pod without it escaping. The TPD pod holds 2ml of eliquid and the standard version i received holds 2.8ml of e-liquid. 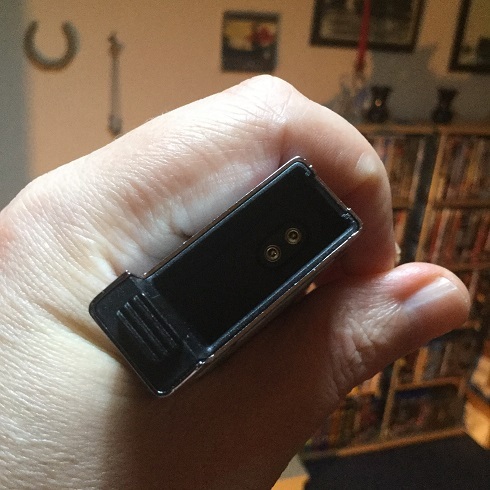 The pod fits into place via a catch that has a release switch on the top of the device next to where the pod is installed, the switch and locking mechanism seems very durable and the pod snaps into place very securely. The Trinity Alpha is compatible with all the Nord coils so as well as the supplied 0.6ohm mesh DL and 0.8ohm MTL mesh coils you can also use the 1.4ohm MTL regular Nord coils and the 1.4ohm MTL Ceramic coils, just bare in mind the Trinity Alpha as a fair amount of air and although the narrower bore of the MTL coils and even changing the drip tip for one with a narrower bore will tighten the draw slightly any MTL draw is on the loose side. 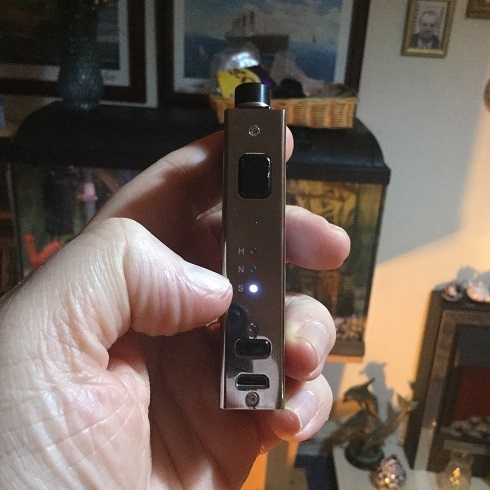 The Trinity Alpha has a physical fire button which can also be used to switch the device on and off with the usual 5 clicks, 3 quick White flashes from the indicator LED (found just above the mode button) confirms the action. Once on you can choose between 3 pre-heat settings which are Hard, Normal or Soft, to switch between settings simply press the mode button and an indicator LED lights up next to the corresponding setting which are found between the battery status LED indicator already mentioned and the fire button. The 3 pre-heat indicators are in a vertical row and labelled "S", "N" and "H", each press of the mode button takes you to the next setting. The Trinity Alpha also has battery status indication which is shown by what colour the LED above the mode button lights up when pressing the fire button. When the LED lights Green the battery is above 70%, when it lights Orange it's between 30% and 70% and when it lights Red the battery is less than 30% and you need to start planning on charging the device. The Trinity Alpha also has all the usual safety protections which if they kick in are indicated by various flashes of the indicator. 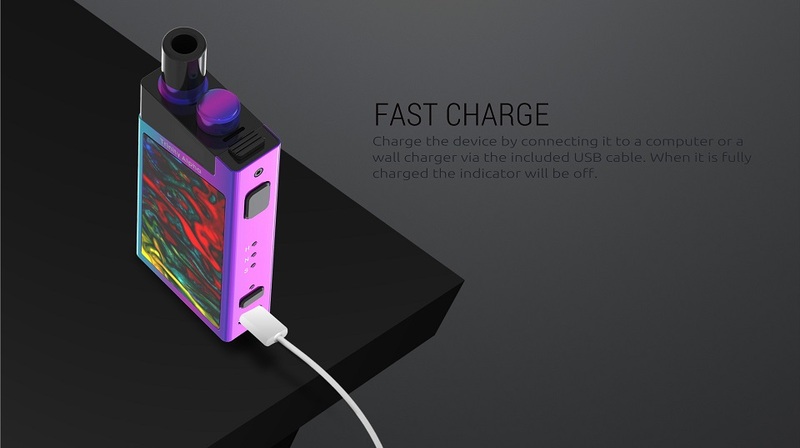 The Trinity Alpha is charged via the supplied USB cable and full charging indication is given. When the USB cable is first attached the indicator flashes White once and then lights the colour corresponding to the charge on the battery which follows the same percentages given as when showing the indication during use. Once the battery is fully charged the indicator light goes off, i found the 1000mAh battery took about 1.75 hours to charge which is acceptable for the size of the battery. Having the standard version i really like the quick fill method and have successfully been just judging when filling but still not an ideal situation that the e-juice level can't be seen easily without removing the pod. 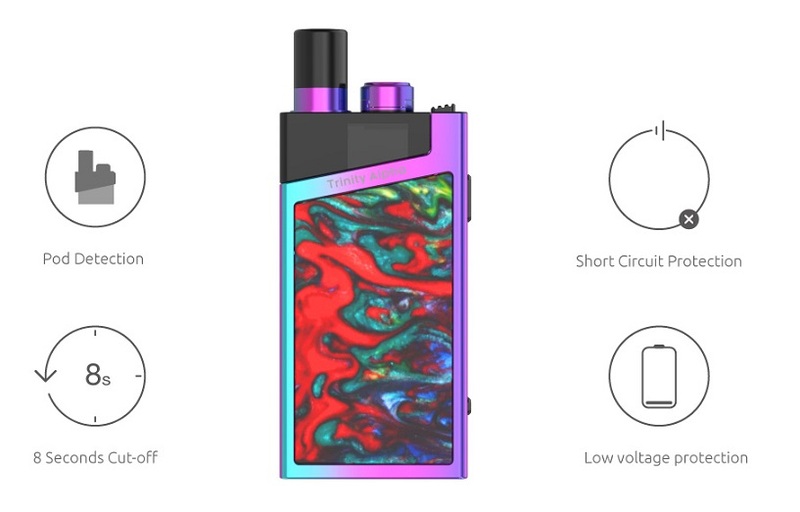 The draw is a restricted DL vape despite the 0.8ohm MTL coil also being included, a very loose MTL can be done but not anything like a draw resembling taking a pull on a cigarette. 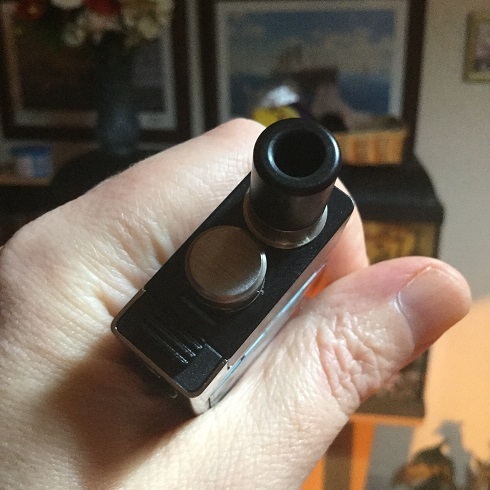 Adjustable airflow would of improved the device greatly especially as 3 of the 4 available Nord coils are for MTL, but personally preferring a very loose MTL when i vape it suits me and will also suit many vapers that switch between low wattage restricted DL vaping and loose MTL. The Trinity Alpha really isn't suited to very high mg or nic salts, it's giving too much power with the supplied coils and as already explained much more suited for DL although the 1.4ohm coils that can be bought for the device along with switching the drip tip for a narrower bore will probably suit higher mg better. 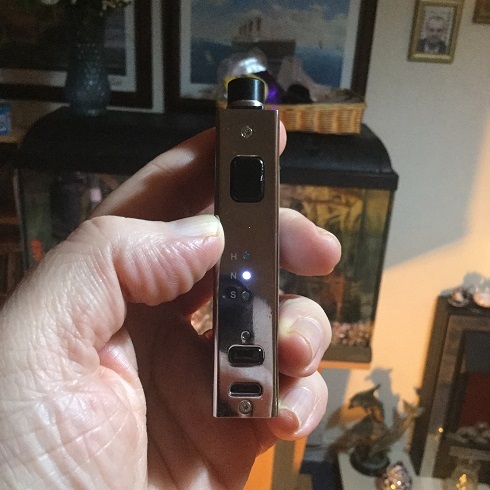 I used both coils and vaped DL with both using 3mg e-liquid as i would with a sub-ohm tank or RTA, it won't surprise most people who have tried the Nord that i found the flavour well above average for a pod type device. The 1000mAh battery life is perfectly adequate and i was happy enough with the device fully charging in under 2 hours. 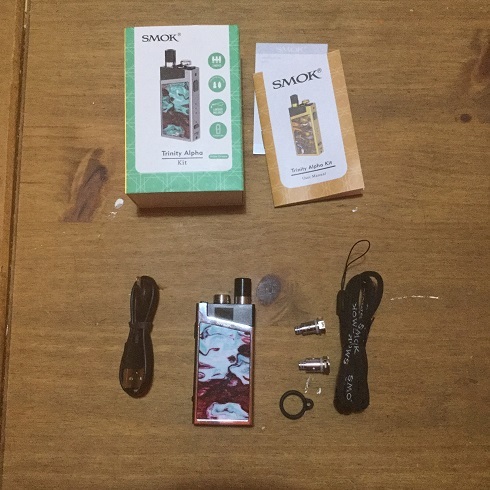 I would once again like to thank Smok for sending the Trinity Alpha for the purpose of this review. Thank you for a great review as always @Timwis ! Nice Review, looks like a great little device! Love the resin design! 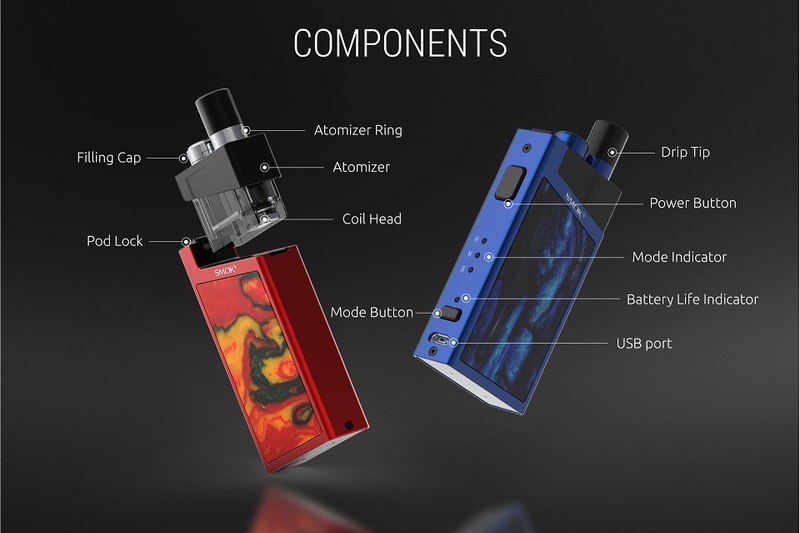 Yep along with others, i have also seen both iJoy and now Geekvape have got Orion "look a likes" about to be released. Another solid review @Timwis, pods not my cup of tea and even less so if they can’t fill the MTL airflow requirement. But on the flip side it is nice to see vendors starting to put effort into DL flavour based pod systems, always useful and these style pods can probably take a few good knocks and still keep on ticking making them the perfect device for someone looking to move from smoking to vaping with less fuss.